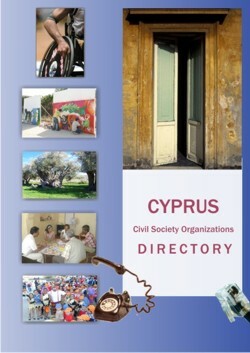 The production of a comprehensive directory of Cypriot civil society organisations marks a giant step in the work of such organisations on the island. The Turkish Cypriot directory which I am honoured to introduce here, is mirrored by a Greek Cypriot directory, which has been developed concurrently by our partners and colleagues at Intercollege. Together these represent a body of knowledge and information which will have a lasting impact on the development ofCyprus’ culture of democracy and active citizen participation for years to come. It’s precisely now that Cypriot civil society requires reliable signposts for the future development of a vibrant and courageous activism, which can engage with all sectors of society across the island, and we see this directory as one of the major milestones in this pursuit. In the past the expectations of a Cypriot civil society have fallen short, due in large part, to the conflictive political environment. These circumstances prevented the Cypriot non-governmental sector from developing and contributing to an active and democratic Civil Society. In 2005 the Management Centre in collaboration with Intercollege, completed a Civil Society Index study, which adopted a methodology provided by the South African civil society organisation – CIVICUS. This study which was piloted in 60 countries evaluated the state of civil society and civil society organisations in both communities inCyprus, focussing attention on the structure, environment, values and impact of these organisations. The full report can be viewed at www.mc-med.org. The CIVICUS study has taught us a lot about the nature of Cypriot civil society and the organisations which are some of the main advocates of active citizen participation. We hope this directory will be a further contribution to all who would like to know more about existing active CSO’s that function in many different areas of interest. The directory is organized for the user to search for CSOs by their geographical location, their field of activity, and their organizational status. It will serve the purpose of networking and communicating amongst CSOs as well as the society in general. I sincerely hope that the directory will be useful for all and will serve its purpose for those who would like to have a guide to find their way within the Cypriot civil society and establish useful networks for themselves and their organizations.